Ex-Big Brother Naija housemate, Gifty Powers has owned up to making certain serious mistakes that led to her early eviction from the reality show. Gifty, during in an interview recently, admitted she messed up big time and that she thinks her fake accent as well as the Banky W and Falz controversy were the reasons Nigerians voted her out of the show. According to her, she only wanted to be controversial and hilarious just to make the house lively but ended up shooting herself in the foot. She said: “I think Nigerians voted me out because of my fake accent as well as the Banky W and Falz controversy. That’s the reasons I was kicked out of the competition. “My strategy while in the BBNaija house was to be controversial and hilarious. So, I tried to fake both English, Iranian and Ghanaian accents just to make the house lively. I was being funny. “I think I over-played my game in the house. It wasn’t what I expected. But we are humans, and we are bound to make mistakes. “Yes, I accept the responsibility for my mistakes. I know that I messed up big time. I’m not perfect and I can’t say that I did perfectly well in the house. Although, I tried my best, I think I over-played the game. 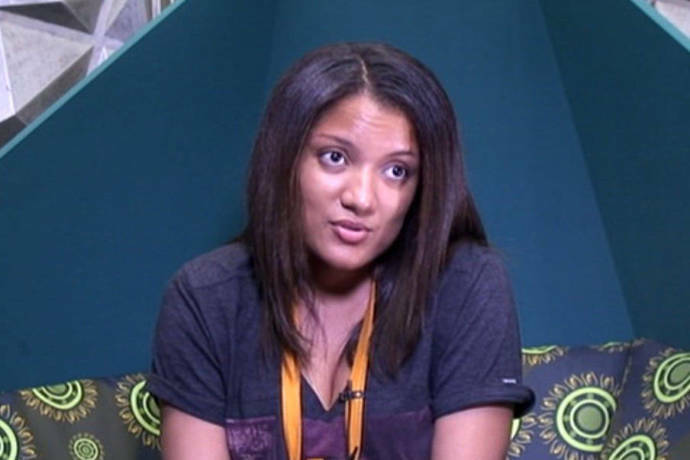 Gifty also said that contrary to popular belief that she had ‘feelings’ for Soma, she actually fell in love with only Jon who was one of the fake housemates introduced into the game to stir up some controversy and keep the real housemates on their toes. She said the reason she got so attracted to him had to do with his quietness, intelligence, smartness and cool nature. She said: “To be honest, I don’t think I fell in love with anybody. I was playing my game because everyone in that house actually had their own strategies. And mine was to be controversial and hilarious; to make the guys fall in love with me, to be jovial, playful and smart. I didn’t fall in love at all. “I would use the word ‘attracted to a guy.’ I was attracted to John, the fake housemate. Viewers had this mindset that I was attracted to Soma, but it wasn’t true. I was playing my game, but one guy I was attracted to, while I was in the house was John.